In this article, we look at GDPR and direct mail. 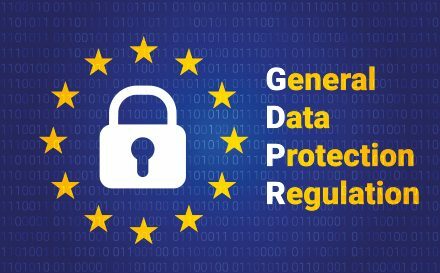 On 25th May 2018, a new data protection law is going to be introduced called the General Data Protection Regulation (GDPR). This law will help to protect the accessibility of any personal data to others. Knowing how GDPR works is important as it may affect your marketing strategies. For example, many brands may want to add an email opt-out choice to their direct mail campaigns. How will the law affect Direct Mail? The GDPR requires businesses to have evidence of individuals or business’s consenting to the way their data is being processed. The new law outlines that direct mail can continue to be sent to customers. On the basis that it is in the ‘legitimate interest’ with both the customer and the company. Legitimate interest will work on providing an equal interest between the business and the consumer. The consumer, can, however, ‘opt out’ of direct mail, if it is not relevant to them. Businesses can continue to send users direct mail as consent is not a requirement of GDPR and legitimate interest can be argued. There is no point sending information to someone who is not interested in your products or services. This is why any mailing lists should be regularly audited. Sending marketing collateral has a cost – design, artwork, printing and postage – so if they are not interested you are also wasting valuable marketing budget. Under the new GDPR law, it is not compulsory to get people’s permission. It is important to check if they have asked to be removed from a business’s marketing communications. As a company, you must make the process easy if a user decides to opt out from any marketing communications. It is recommended that businesses add an opt-out opportunity on all pieces of direct marketing, whether sent by mail, e-mail or SMS. Non-compliance with GDPR can lead to fines of up to €20 Million for larger businesses. Smaller brands can be charged 4% of your global annual turnover (whichever is higher). The law will rely heavily on users who report breaches. As They will rely heavily on consumers to report breaches, and will likely focus their efforts on the most serious violations. For more detailed information on GDPR, you can visit the Information Commissioner’s Office website. They have a 12 Step Guide to Compliance which will help you formulate a plan to update and audit your data to ensure you are compliant.